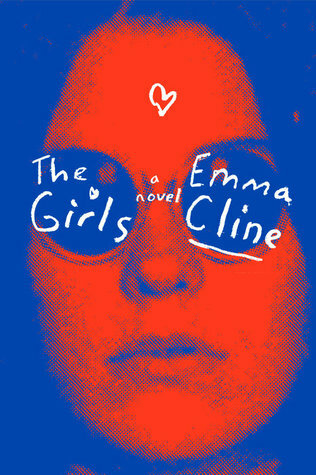 Although The Girls by Emma Cline is hardly light fare, I finished it in two days. Compelling and beautifully written, this story surrounding a Manson-type slaughter sucked me in right away. Let me start by reassuring you The Girls is not a gorefest. Cline serves up an introspective evisceration of Evie Boyd, her main character, not blood and guts. While the murders are certainly horrifying - but they occur offstage for the most part. That said, there's nothing gentle about this read. Evie begins as a bored girl in the suburbs with a hopeless crush on her best friend's brother. When she encounters Suzanne, the head of dumpster-diving hippies who don't care what other think, Evie is obsessed. Suzanne brings Evie to a sprawling, falling-down ranch run by Russell, a cult leader. The place is spectacularly wild, a complete change for middle-class Evie. This story is interwoven with Evie's current situation. As she camps in a friend's house, his son Julian arrives with a girlfriend - Sasha - in tow. They are the catalyst for Evie's flashbacks to the summer she spent on Russell's ranch, in thrall to Suzanne. "No one had ever looked at me before Suzanne, not really, so she became my definition. Her gaze softening my centre so easily that even photographs of her seemed aimed at me, ignited with private meaning." Cline's paragraphs about coming-of-age in the late 60's and early 70's are weighty with metaphors and truth: “As if there were only one way things could go, the years leading you down a corridor to the room where your inevitable self waited—embryonic, ready to be revealed. How sad it was to realize that sometimes you never got there. That sometimes you lived a whole life skittering across the surface as the years passed, unblessed." Some readers find this style over-the-top. It's true that even watermelons become fodder for the Cline touch, when she compares the fruit's flesh to inner organs. At that point, I remembered advice from one of my own editors, who said in the middle of misery readers need some kind relief. A small positive scene or even a shred of humor can keep us going in the middle of darkness. There wasn't a lot of that in The Girls. Still, Cline's originality hooked me to the end. If you like compelling and intelligent books, this might be a good choice as we emerge from the winter doldrums. You can find The Girls at Amazon here.